Question: Tonight is NFL Thursday Night Football, and my wife is going to a ladies’ Bible study, leaving me to babysit. What do I do? Answer: Concerning the football game, hopefully your TV is equipped with one of those devices that lets you “save” the game while it’s playing in real time, so you can watch it later. If not, you may want to go old school and google “VCR.” This is like a big tape recorder from the olden days that you can somehow hook up to your TV and make a video copy of the game to replay later at your leisure. Concerning the babysitting, you may want to rethink calling it that. Personally, I don’t care about the semantics, but there is a whole culture out there known as “Mommy Bloggers,” and they absolutely hate it when us dads call watching our own kids “babysitting.” Just FYI. Concerning the “what do I do?” question, there are two schools of thought. The first school of thought involves duct tape, Benadryl, a continuous loop of YouTube videos showing monkeys chasing baby pigs on a propped-open laptop, and probably a visit from Social Services later this week. The second school of thought involves you getting down on the floor with the kid – I’m talking about WAY down there, like flat on your stomach or at least sitting Indian-style – not just casually leaning over the edge of your recliner with one arm – and playing with tiny little baby dolls, action figures, trucks, dinosaurs, or tea-party sets, depending upon gender or interests. Really get into it. Give the little characters different voices, act out some age-appropriate drama or humor, make the dolls/action figures talk about God and Jesus at some point, and pretend like you are totally having the time of your life, and that this play-time is the most important thing you’ll do all year – more important than a business meeting, more important than shooting a 12-point buck, more important than getting the high score on Halo Kill Zone or whatever “grown-up” video games you’re into. Go all out, and give the kid total undivided attention for a long continuous period of time. Previously I discussed the dangers of teaching the Bible to children the way we would teach fables, and of the danger of teaching them that the Bible is merely a sounding board for our feelings. Now we will see that we must also beware of the temptation to teach obedience to God as though it was part of a reward system, or a quid pro quo bargaining chip. This is an especially dangerous teaching method because of the way even adults, through the so-called “health and wealth gospel” or the “Word of Faith” movement, have been seduced into this way of thinking: “I’ll obey You, God, but I need You to give me something in return” (good health and money being the two favorites). We see this train of thought subtly insinuated in promises to get blessings for giving, for ministry, even for faithfulness. The problem is not really in teaching that God blesses, and even honors, faithfulness. The problem is in slapping our definition of “blessing” onto God’s greater and higher definition of blessing. Children who are taught that God is just aching to give them what their flesh craves are susceptible to developing a mentality of “gaming the system” – of trying to bribe or outsmart God. But godliness with contentment is great gain. For we brought nothing into this world, and it is certain we can carry nothing out. And having food and raiment let us be therewith content. But they that will be rich fall into temptation and a snare, and into many foolish and hurtful lusts, which drown men in destruction and perdition. For the love of money is the root of all evil: which while some coveted after, they have erred from the faith, and pierced themselves through with many sorrows. But thou, O man of God, flee these things; and follow after righteousness, godliness, faith, love, patience, meekness. Fight the good fight of faith, lay hold on eternal life, whereunto thou art also called, and hast professed a good profession before many witnesses. A love of money or any material thing (which amounts to the sin of greed) will bring sorrow instead of joy into the hearts of your children. Let’s teach our children that knowing and serving God is a blessing unto itself, and that even poverty and suffering may be counted as true blessings under His promises. And he lifted up his eyes on his disciples, and said, Blessed be ye poor: for yours is the kingdom of God. Blessed are ye that hunger now: for ye shall be filled. Blessed are ye that weep now: for ye shall laugh. It’s one of the greatest Q-and-A’s of all time, packed into one clear and vital verse. Q. How will a young man clean up his act and live right? A. By purposefully and vigilantly moving through life with the Bible as his guide. The psalmist asks and then answers his own question without hesitation, but are you and I convinced of this solution? I hope we are, because a wrong response has dire consequences: Psalm 34:16; Ephesians 5:3-6. We sometimes use the colloquialism, “young men,” when we refer to boys – even those who are fairly far from the age (or maturity) of true manhood, and the Bible does the same thing here, translating it from the Hebrew na’ar. Boys do not come into this world with clean hearts, and they do not start their journeys through life on clean paths. No, they start off with dirty, sinful, corrupt, and foolish hearts, bent toward heeding the world’s beckoning call to travel down its own dark, dangerous, deceitful, and disobedient alleys. Thus, the question in the first part of the verse presupposes that a young man’s “way” has need of purification (cleansing). Thankfully, the Lord God Who reigns over this sin-sick world has provided a ready-made and easily-obtainable means for such cleansing. This antidote is not, however, a one-time vaccination or smoothly coated pill, quickly ingested and then forgotten. No, it is a remedy that requires young men to “take heed” – to look and listen carefully. The Word of God is to be kept ever before their eyes. It is to be ingested through reading, and through attendance on teaching and preaching by trained and ordained men of God. Its principles and precepts are to be applied thoughtfully and rigorously as sign posts, warning lights, fuel for the journey, and dutiful directions at every twist and turn, every high-speed straightaway, and every providential detour along life’s course. The are various ways to teach Bible stories (which are true, factual, historical events) to children, and various techniques that can be used. 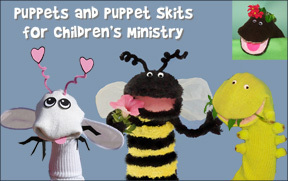 This is not going to be a lesson about how to use sock puppets, or how to talk in a funny voice to keep kids’ attention, or how to string out a story over several weeks with carefully designed “cliffhangers,” so they will want to come back each week to find out what happens next. There are people who are far better at those things than I am. No, this is about the actual teaching of Scripture. Teaching means that you are focusing on what they are actually learning, not just making sure they are having fun or being entertained. Nor am I talking about showing off Bible knowledge, or giving out prizes for participation or accomplishment. I’m talking about actually finding out what God wants us to know about a particular Bible story: Why did God put this in there and command us to read and study it? Therefore, the first thing to keep in mind when teaching Bible stories to children is: Don’t teach fables. Bible stories are not fables. They are not fairy tales, and their purpose is not always to teach a “moral lesson,” although we usually can glean moral lessons from them. The problem with avoiding the fable-teaching method in children’s Bible studies is that you will be hard-pressed to find a children’s curriculum or lesson book that DOESN’T use this method. Take the story of Jonah for example. That’s true – as far as it goes – but remember, there are people disobeying God all over the place like crazy, and they seem to be doing fine. Several of them hold the highest government offices in our land! The story of Jonah is not like the boy who cried wolf – he did something bad so he ended up facing the consequences. Then certain of the scribes and of the Pharisees answered, saying, Master, we would see a sign from thee. But he answered and said unto them, An evil and adulterous generation seeketh after a sign; and there shall no sign be given to it, but the sign of the prophet Jonas: For as Jonas was three days and three nights in the whale’s belly; so shall the Son of man be three days and three nights in the heart of the earth. The men of Nineveh shall rise in judgment with this generation, and shall condemn it: because they repented at the preaching of Jonas; and, behold, a greater than Jonas is here. It turns out that the Holy Spirit, when describing what happened to Jonah, was not really primarily teaching a lesson about the consequences of disobeying God, or even about how God can comfort you when you are scared and alone, or even about how God controls His creation (weather and animals). No, what He was primarily teaching is that we all have disobeyed God, and we deserve to be thrown into the sea to die, and we have absolutely no ability to save ourselves, but God can save us, because He Himself went down into the grave (the “belly of the earth”) and rose again in His Own power. Furthermore, just like Jonah’s testimony of coming back from the dead was the sign that supported his preaching, for us, the Resurrection of Jesus from the dead is our “proof” that everything that Jesus said about our sin and His salvation is true. 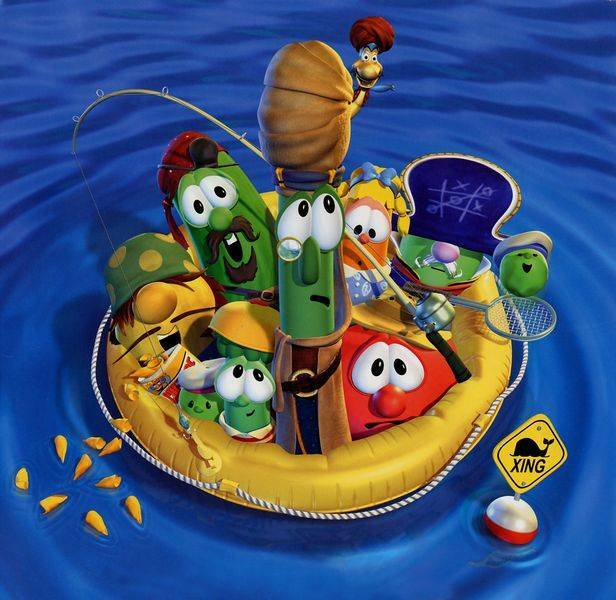 We don’t want our kids to think of a cartoon man and a cartoon whale, and definitely not a cucumber swimming around with a talking tomato. We want them to think of a real man and a real fish that God used to get people ready to recognize Jesus – the Christ – Who would one day fulfill what Jonah and the whale typified: sin, death, burial, resurrection, and Gospel preaching! There is a whole industry out there geared toward the production of material for sale to churches, under the heading, “children’s ministry.” From coloring books, to puzzles, to visual aids, to movies, to action figures, to entire programs with point systems set up to award patches, trophies, candy, and prizes for attaining participation and memorization goals, there is no shortage of items available for those who would like organize, institute, or carry on with, a “children’s program” at his or her church. 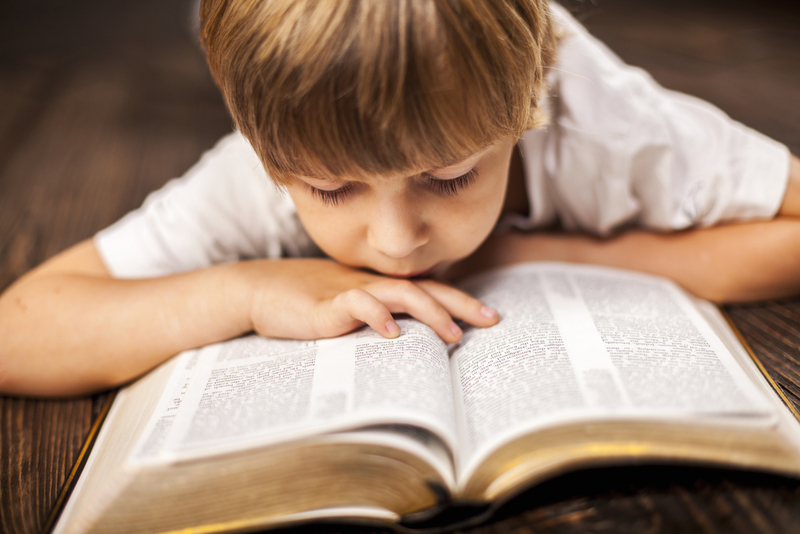 The Holy Spirit, however, reminds us that the most important “material” needed in the evangelism, instruction, and training of children is found between the covers of God’s Holy Word: the Bible. If you are a Christian parent, then I suppose there may be some value in having a shelf filled with work books, color-in-the-lines representations of Noah’s Ark, and attendance awards, or a wall covered with certificates of merit for knowing all the hand motions to “I’m in the Lord’s Army, yes sir!” but do not neglect the most valuable teaching and learning tool ever invented for the edification of little (or future) disciples of Jesus: the Scriptures. 1. They are not good kids. 3. We have to love people who do disgusting things. Jesus loved the people who didn’t love Him and who did the things He didn’t like. We have to do that, too. And when the scribes and Pharisees saw him eat with publicans and sinners, they said unto his disciples, How is it that he eateth and drinketh with publicans and sinners? When Jesus heard it, he saith unto them, They that are whole have no need of the physician, but they that are sick: I came not to call the righteous, but sinners to repentance. Given a limited choice we would rather our children be grossed out by sin than attracted to it. However, we do not want them to be grossed out by sinNERS to such an extent that they are unwilling to love them. Jesus went to where the sinners were. He was not friends “with them” in the sense that He disguised what He thought of their sins, but He was a friend “to them” in the sense that He got very hands-on in their environment and lives. Christian parents want their children to be surrounded by good influences, and that’s great, but a truly “good” influence is someone who encourages them to love people who are deeply mired in sin – even people who hate their Jesus, and who hate His Word. You can’t simultaneously show kindness and love to someone while giving him the impression that you are disgusted by who he is as a person. Lifeguards don’t swim out to a drowning person flailing in the sea, and immediately start telling him what an idiot he is for going swimming after eating a bucket of fried chicken and drinking a two-liter Pepsi. Death should be scary because it is a result of sin, and God absolutely hates sin. Sadly, when we teach the standard “children’s” Bible stories – baby Moses in the Nile, the parting of the Red Sea, Jonah and the big fish/whale, Daniel in the lions’ den – we tend sanitize them and gloss over their fuller meanings, when, if we look at them faithfully, the fact of death comes up organically and realistically. Look at the story of Noah’s ark, for example. What must we do to make this a happy children’s fairy tale? Well, to start with, you have to skip the prologue. And most of the actual story, for that matter. To make it what our modern culture thinks of as “child-friendly,” you have to limit it mainly to just talking about a few animals, and cut straight to the rainbow. And even then you have to be careful about reading too far! The story of Noah’s ark is not a Disney story. 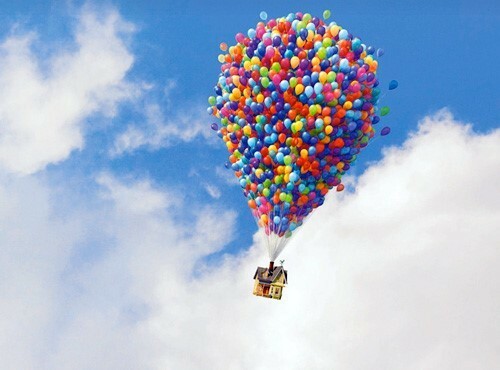 It’s not like the man who tied balloons to his house so he could float away from death to a magical place. Noah and his family were not in there petting kitty cats and singing rain rain go away, little Japheth wants to play. They were probably covering their ears against the screams of terror outside… and they were resting wholly in one thing and one thing only for their salvation: God and His Word. Have you ever told the children that God has entrusted into your care that the only reason Dad and Mom can laugh and smile and play with them – the only reason that they are looking forward to getting older instead of dreading it – is because Jesus has defeated death for all – BUT ONLY FOR ALL – those who have trusted Him? Then cometh the end, when he shall have delivered up the kingdom to God, even the Father; when he shall have put down all rule and all authority and power. For he must reign, till he hath put all enemies under his feet. The last enemy that shall be destroyed is death. Next time I will discuss another difficult truth that we must teach our kids. 1. You are not a good kid. According to the Bible, children come into the world as simple, but not virtuous. They are ignorant, but not innocent. As parents we don’t want them to be “wise” ABOUT sin, but we do want them to be humbled by the truth that they ARE sinners. Yea, in heart ye work wickedness; ye weigh the violence of your hands in the earth. The wicked are estranged from the womb: they go astray as soon as they be born, speaking lies. We think of using these verses about wickedness when witnessing to strangers (and we should), but look at Psalm 58:1 and see to whom they are addressed: “the congregation” (which would include the children of God’s covenant people). Why is it so important for our children to understand that they are not inherently “good?” Because we want them to be looking for a Savior, not a participation trophy. We want them to humble themselves in the sight of the Lord, not to hear that they have something about which to be proud. We, as their parents, are charged with the task of utterly convincing them of the absolute supremacy of God. As a Christian father, I do not want the children that God has entrusted to my care to have self-esteem; I want them to have “God esteem.” I do not want them to have self-worth; I want them to recognize God’s worth. Children will not naturally want to admit they are evil, but it’s true. They are not basically good – they are basically evil – just like Dad and Mom. They will love God more truly and deeply when they understand that they themselves are not the initiators, nor the instigators, of God’s love for them. We ONLY love God because He first loved us. And He ONLY loves us because He is love. Next time we will face another difficult truth for children. God’s kingdom will never merge with this world’s kingdom. God’s kingdom is already far greater than any kingdom of this world, and God’s kingdom will one day overcome this world in a very visible way. As Christian parents we want our children to start, from as young an age as possible, thinking more about God’s kingdom than this world’s kingdom. “In thine house” means during casual times of conversation, including play and relaxation, but also during formal times of family worship. “By the way” means outdoors, but also in social settings and commercial transactions. 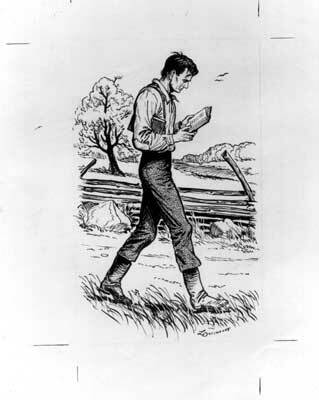 “When thou liest down” means a review of the day’s activities, events, and lessons, including the expressing of gratitude and confession of sins. “When thou risest up” means prioritizing God (demonstrating our conviction of His supremacy), in addition to consciously consecrating our bodies and that day’s planned activities to Him. Give ear, O my people, to my law: incline your ears to the words of my mouth. I will open my mouth in a parable: I will utter dark sayings of old: Which we have heard and known, and our fathers have told us. We will not hide them from their children, shewing to the generation to come the praises of the Lord, and his strength, and his wonderful works that he hath done. We should glean spiritual truths from redemptive history and use them as teaching tools for our children. Furthermore, we need to be training our children to grow mentally, physically, spiritually, and socially.